After some cool weather, it's in the low 90's already. Hope this summer won't be as hot as last year. Tina's in Austin, TX, visiting her son. Her other son and his girlfriend went, too. Matt has been living there about a year and said his rear view mirror melted off his windshield last summer. Wow! I would expect that in Tucson or Phoenix since I've heard stories but didn't know this happened in Austin, too. I heard in Alaska, vehicles have to be plugged into places around there to keep running when someone goes to a store or whatever. As for here, mostly it feels like being in a hot terrarium when we go outside in the summer because of the heat and humidity. Low humidity is the secret of happiness to me! Got stories anyone about hot or cold experiences? Jackie just wrote something I hope all of you will read. It's in response to her reading The Help. I haven't read it yet but plan to. Have any of you read it? She wrote it on our collaborative blog Observations from the Knee-Deep South HERE. An excerpt is below. I really like what she wrote about history and the past. Please comment if you feel inspired. Thanks! I don't know if anyone else has read the novel The Help which has recently been made into a movie. It's written by a White southern woman but told largely from the point of view of two Black maids. It's set in Jackson, Mississippi in the sixties right in the middle of the civil rights struggle. When I teach the fourth graders at our school about the first Thanksgiving I start by introducing the Social Studies theme for the year. I tell them that we are going to be history detectives and work on various cases. To start, I define the difference between history and the past. The past, I tell them, is what actually happened, and history is how we talk about what happens. The past is always the same, but history changes across tellers and time. It was recently reported that the technology contained in a single Game Boy unit in 2000 exceeded all the computer power that was used to put the first man on the Moon. 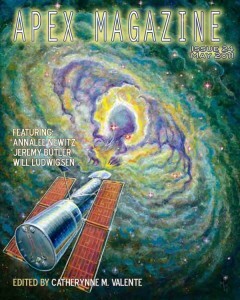 Apex Magazine has an interview with my talented daughter-in-law Melissa HERE. Check it out, especially you science fiction/fantasy fans. 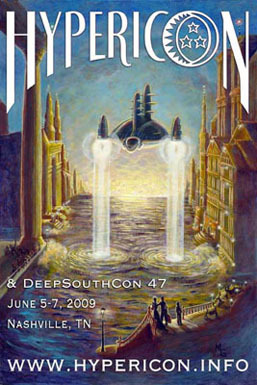 She always creates the posters for Hypericon, which is in Nashville. Brian is one of the organizers of it. Tug, Bill, and I met at the Log Cabin for a late lunch. It's in Hurricane Mills where Loretta Lynn's ranch and museum are. I've never been to them but guess I should go sometime. Funny how we don't go to places nearby. I've never been to the Hermitage (Andrew Jackson's house) either. I have been to the Grand Ole Opry a few times, though. Anyway, I'd heard about the Log Cabin from a friend and suggested we meet there instead of somewhere around here. It's about 35 miles from where I live and a pretty drive, which was worth it for the company if nothing else; however, the food was country cooking from scratch and really good. There's my car back there behind Tug's truck. We laughed and talked and had a great time! This is the third time Tug/Sam and I have gotten together when he passed through but the first time I'd met Bill in person. I felt like I knew him already. Btw, Max is HUGE for four months old and so well-behaved and sweet, especially for a puppy. She's adorable. Tonight my friends Paige and her daughter Virginia met at Las Fajitas for dinner and a trivia game. We came in third and would have won if we'd bet some points on that last question. Paige knew who the Secretary General of the UN is. Virginia and I had no clue. We discussed it, and Paige wasn't sure enough to bet the whole 20 points on it, so we didn't bet any points. Only one other team and Paige got it right. We'll go with Paige's answers next time. She did this on a couple of others, too. Anyway, we are happy with our 3rd place win and got a gift certificate for the restaurant. What a fun, social day and evening I've had! The Republicans in TN legislature keep embarrassing and infuriating me. This is the first Republican majority in 40 years in our state, and they are taking full advantage of it. I'm too bummed out to post links to this madness. Anybody else watch Bones? Just how much time elapsed from last week's episode until this week? Say what? Let's talk! Kelsey graduated from high school Saturday night. It was really fun at the end when one of her classmates led them in the "roller coaster" that was an interactive routine that's hard to describe here but sort of like a cheer. It was a humorous touch. Then they boogied up the aisle during the processional to Chris Brown's "Forever" their class song. It was different and fun! There were 102 in her class, and she won two awards that were presented Thursday night at the awards ceremony. She got the dual-enrollment English award and the Scholar Athlete award. A boy and a girl won that last one and had to be in at least two sports and have the highest GPA. Kelsey played volleyball and softball. She and Kari played on the state-championship volleyball team. I wrote about it here and posted photos. It was a good weekend. We played some games, watched some movies, and talked. Good times! We have more photos on Facebook. A dolphin can remember a specific tone far better than a human can. I'm going to be gone for a few days and won't be online. My first grandchild Kelsey is graduating from high school, and I'm going to the awards ceremony tomorrow night and her graduation Saturday night. I'm looking forward to it and to visiting with all of them. See you later! It is thought that the saying "pulling your leg" originated from the custom in the Middle Ages of hanging people in such a creative way that the victims often choked slowly and in agony. To put an end to their sufferings, pals or relatives of the suffocating victims would pull down hard on their legs in order to snap their necks. This is a big week for my first grandchild. Kelsey graduates from high school Saturday night. Baccalaureate is Wednesday night and Senior Awards Night is Thursday. I'm going to the awards and graduation and will give a report next week. She's going to college this fall and has done well in high school with good grades and sports. I'm proud of her for many reasons. I'm busy getting ready for the trip and am looking forward to seeing all of them! I had a good Mother's Day. Mother, Brian, Melissa, Brendan, and I went to lunch and enjoyed it so much. Then Mother and I went shopping. Great day!! I can't believe I didn't take pictures! Sometimes I get wrapped up in the festivities and don't think about it. Brendan had on a Tam O'Shanter in the tartan of Melissa's father's family. I told him I had a Scottish grandson. So he went around saying he had on the tam because he's Scottish. I'll have to get a picture of him in it eventually with it pulled down over his ears the way he wore it yesterday. This has been a lost week for me. What's yours been like? 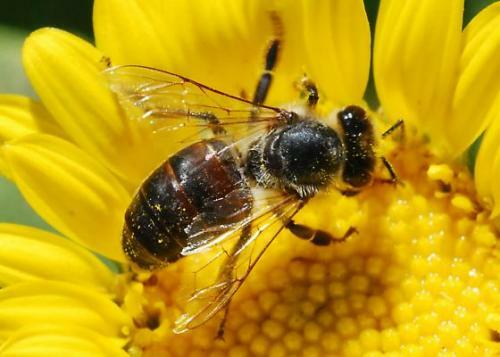 Honeybees navigate by using the Sun as a compass, even when it is hidden behind clouds, they find it via the polarization of ultraviolet light from areas of blue sky. My laptop is showing symptoms of crapping out again. If so, this would be the third time which qualifies is as a lemon. Then I'll get a new computer or a refund. I'll take the money and buy a MacBook. Let's hope for the best. It's driving me crazy right now going from huge to regular sizes on the screen and blinking off and on. If it's going to do it, I hope it is soon before the warranty runs out. Deep Hunger: It might point to an unusual eating disorder called tomatophagia. People with tomatophagia develop unusual cravings for such things as tomatoes, ice, detergent, starch, clay, and even dirt. Found a better picture of it and replaced that other one. 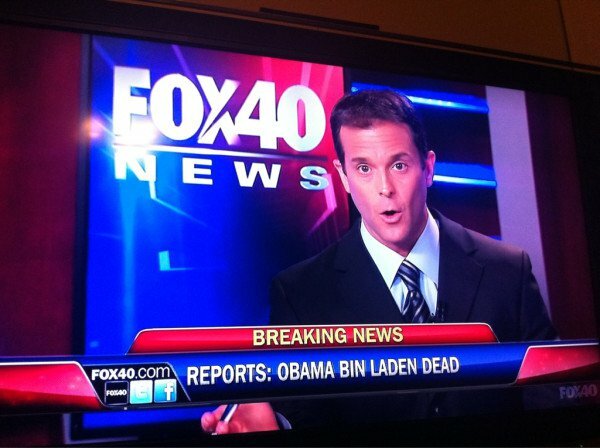 FOX is messed up! Look at that at the bottom of the screen! Not Osama! Well, here it is May! My month off from taking classes since I will take another one this summer. It's on American Literature which I taught for many, many years - dare I say decades? I learned so much about little-known authors Evelyn Scott and Caroline Gordon and well-known Pulitzer Prize winner Robert Penn Warren in my favorite class that I want to take more of his classes. He said it would be around 18 months before he teaches another graduate class, so I'll keep checking online about that. I'd also like to take a class on African-American literature. I've read quite a few but want to study them. 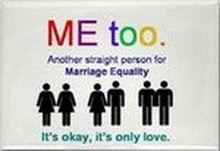 I always get something out of the discussions. I taught high school students in the 11th and 12th grades and didn't get into the depth that a graduate class covers, so this is exciting. I hope I can muster up the energy to be productive about things I've neglected for way too long. My aunt used to say, "Energy begets energy." How right she was! I find that the less I do the less I do. Eventually at this rate, I'll be in a coma.